Beef stroganoff is made with the highest quality beef, mushrooms, noodles and a thick, rich sour cream sauce that tastes great. 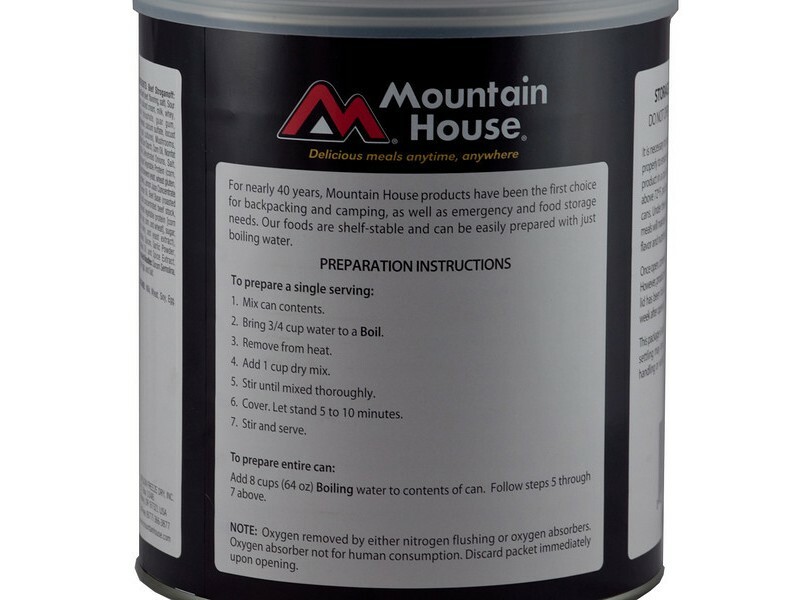 Each can contains 10 full servings of 1 cup each, and is extremely easy to prepare by simply adding in hot water. The fully cooked meal just needs to warm up from the hot water, and then it is ready to eat. 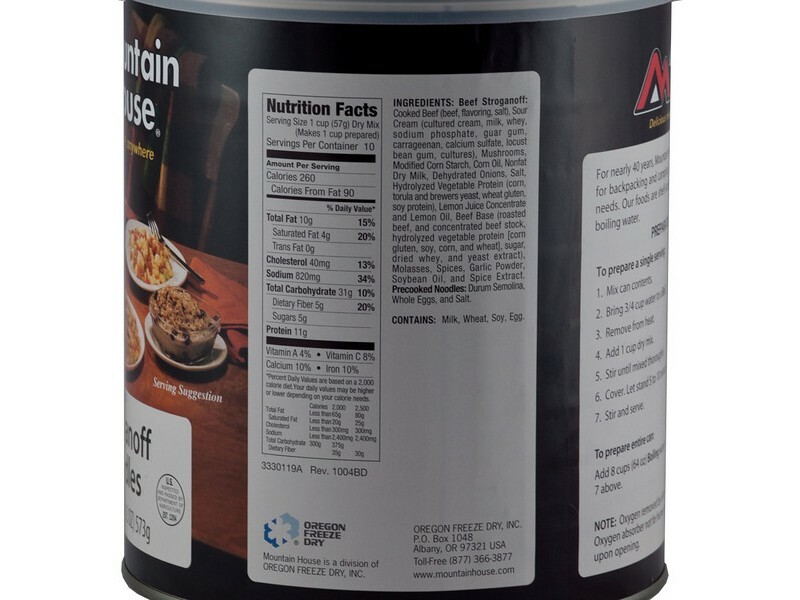 Prior to opening, it has a full 25 year shelf life, making this an excellent item to add to any type of long term emergency food storage program. Stock up on yours today. 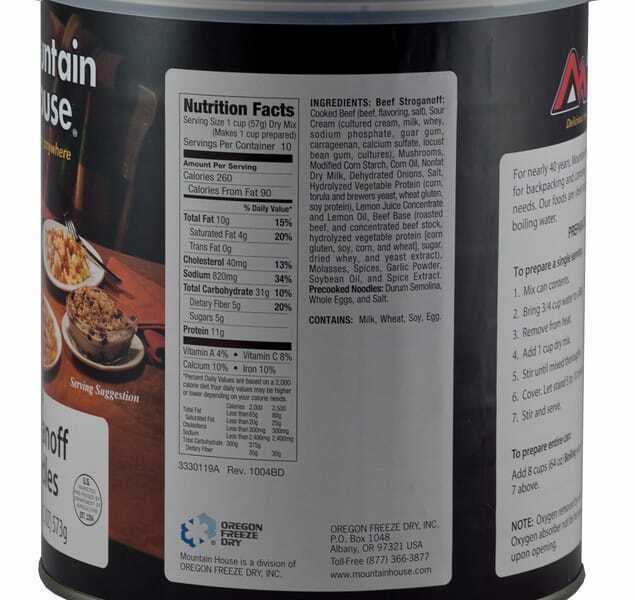 Mountain House made this great beef stroganoff meal using the best ingredients to help ensure that it not only tastes great, but that it is also great for you. It will provide you with a variety of different vitamins, minerals and other nutrients which are so important for staying healthy, especially when in a difficult situation. 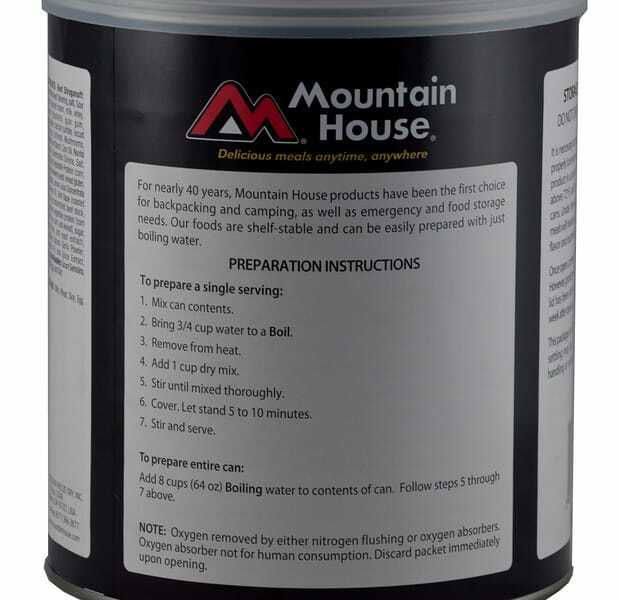 All the foods from Mountain House are going to help you and you family get the food you need to stay strong and comfortable, no matter how long the situations you’re facing lasts. 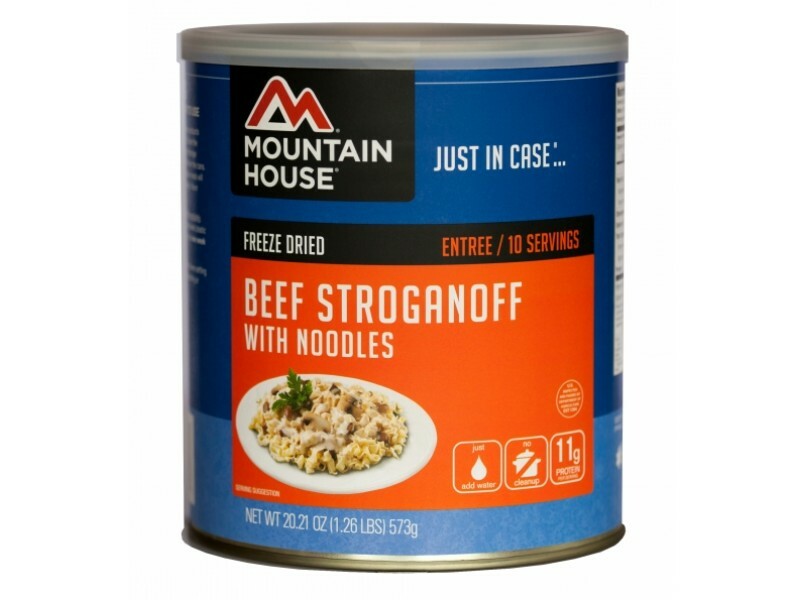 The #10 size cans that this beef stroganoff comes in are extremely convenient for emergency food storage programs. You can easily stack the cans up on top of each other to allow for a very efficient use of space. In addition, the cans last for a very long time, providing for a 25+ year shelf life for the food. This is really important for emergency food stockpiles, since the food is typically not eaten for some time. Of course, you don’t have to wait for an emergency to enjoy this great food. You can take it with you camping or hiking, or even just make it at home. 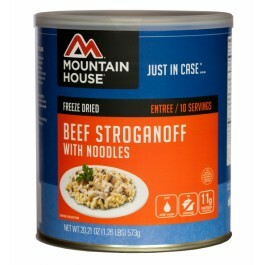 Whenever you need a great tasting, hot meal you can pull out the can and make it in just minutes. Order yours today! One can contains 10 1 cup servings.